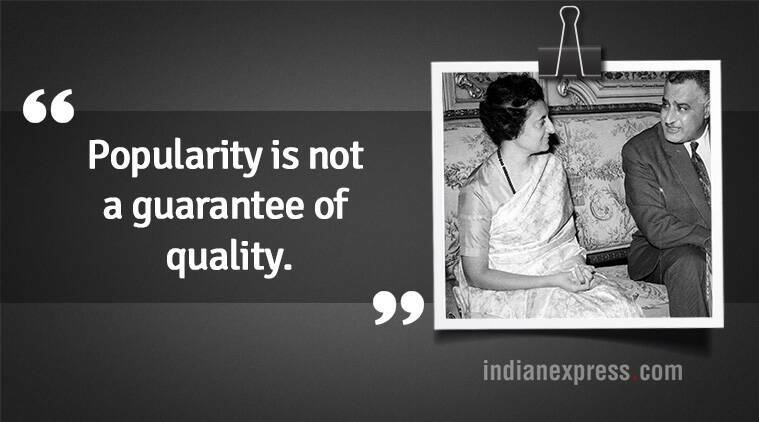 “I do not like carving the world into segments; we are one world”, said the only lady Prime Minister of India, Indira Gandhi. 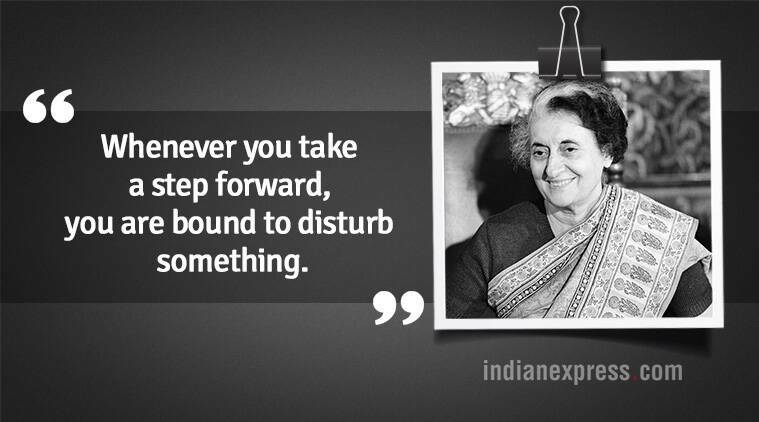 Daughter of the nation’s very first Prime Minister, Jawaharlal Nehru, Indira Gandhi was one of the longest serving Prime Minister of the country with a reign of around 15 years. 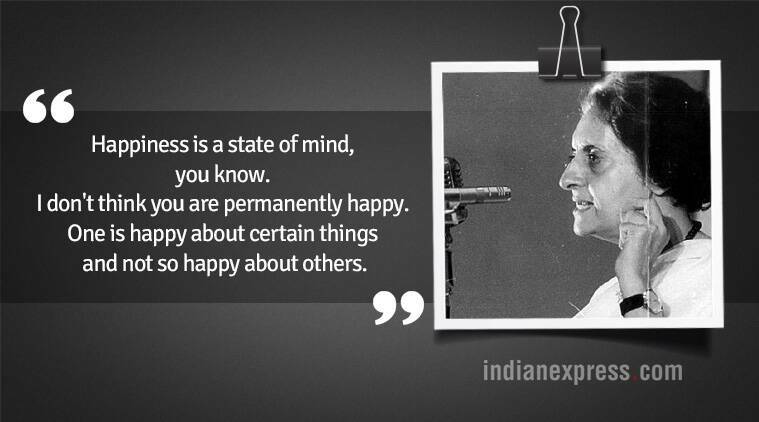 Known for her remarkable speeches and strong views on various social and political issues, Indira Gandhi often took the crowd by storm with her extraordinary presence. 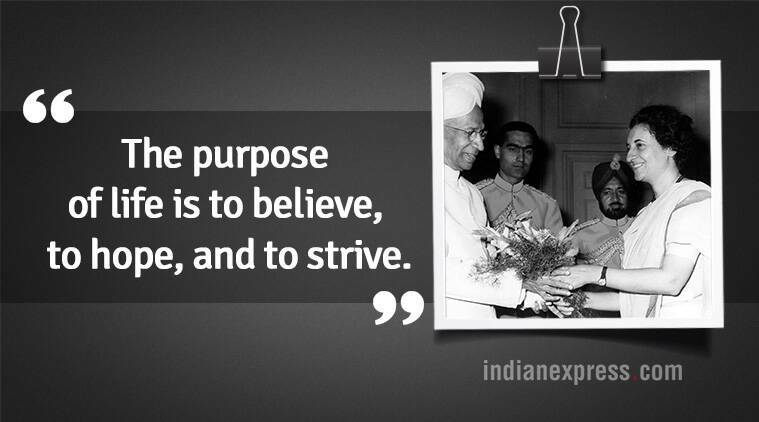 Outspoken, yet humble, she had much to contribute to the nation. 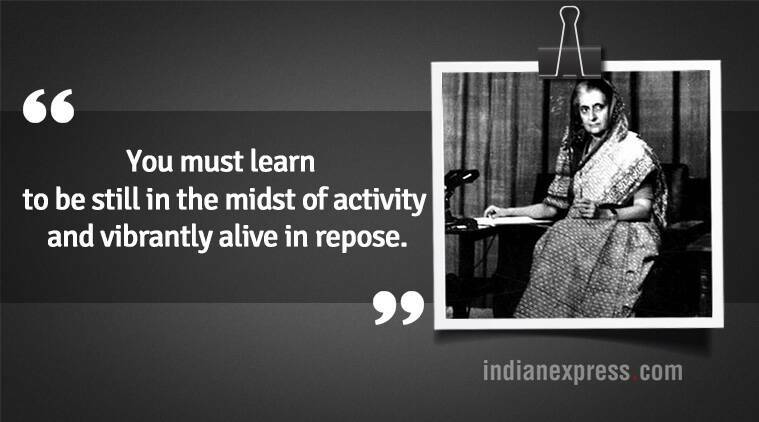 On her 34th death anniversary, to pay tribute to this powerful leader, we bring to you a collection of some inspirational sayings by Indira Gandhi on knowledge, freedom, power, and feminism. * Happiness is a state of mind, you know. I don’t think you are permanently happy. One is happy about certain things and not so happy about others. * To be liberated, a woman must feel free to be herself, not in rivalry to man but in the context of her own capacity and her personality. * Popularity is not a guarantee of quality. * The greatest of all contraceptives is affluence. * You soon realize that the peak you’ve climbed was one of the lowest, that the mountain was part of a chain of mountains, that there are still so many, so many mountains to climb…And the more you climb, the more you want to climb – even though you’re dead tired. * The purpose of life is to believe, to hope, and to strive. * You must learn to be still in the midst of activity and vibrantly alive in repose. * Difficulties can’t be eliminated from life. Individuals will always have them, countries will always have them…The only thing is to accept them, if possible overcome them, otherwise to come to terms with them. It’s all right to fight, yes, but only when it’s possible”. * Whenever you take a step forward, you are bound to disturb something.